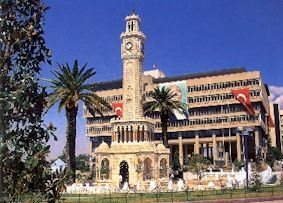 The clock tower was erected by the Grand Vizier Kucuk Sait Pasha in 1901 to celebrate the 25th anniversary of Abdulhamid II's accession to the throne. The clock itself was presented by the German Emperor Wilhelm II. The tower is 25 m in height.